MainAll NewsUS & CanadaShip named after Jewish-American guardsman killed in Iraq War. Ship named after Jewish-American guardsman killed in Iraq War. Coast Guard names ship after Jewish-American guardsman killed while intercepting suicide bomber. The Coast Guard named a new ship after Nathan Bruckenthal, a Jewish-American Coast Guardsman killed in the Iraq War. The fast-response cutter boat was commissioned Wednesday in Alexandria, Virginia. Bruckenthal was killed in 2004 at the age of 24. He was the first Coast Guardsman to be killed in action since the Vietnam War. He and two Navy sailors died as they intercepted a small boat in the Persian Gulf with a suicide bomber on board. The team’s actions helped prevent another coordinated attack. Bruckenthal was awarded the Bronze Star, the Purple Heart, his second Combat Action Ribbon and the Global War on Terrorism Expeditionary Medal for his actions. 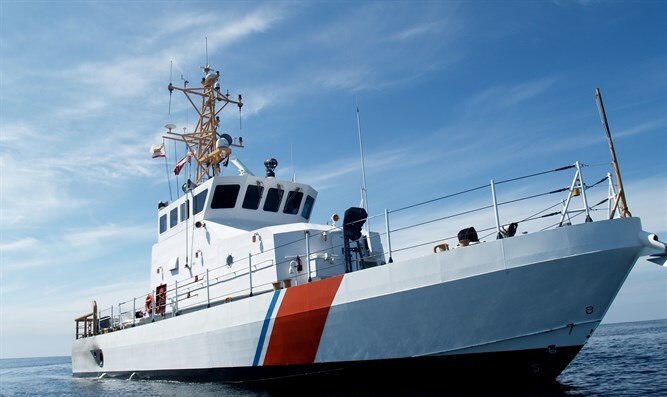 The Stony Brook, New York, native joined the Coast Guard after attending high school in Ridgefield, Connecticut. His father spoke about his son’s sacrifices.